Scisci Art is now thrilled to be hosting Paint & Sip events throughout the Capital District, either at your business venue or private residence. From small gatherings to large parties, all skill levels are encouraged to attend. Your self proclaimed "masterpiece" is yours to take with you, in memory of your special occasion. We will also be hosting regularly scheduled Paint & Sip events at local venues. See below for schedule! Help us entice Spring to finally bloom with this Paint & Sip event on Saturday, April 21st from 5-7pm. 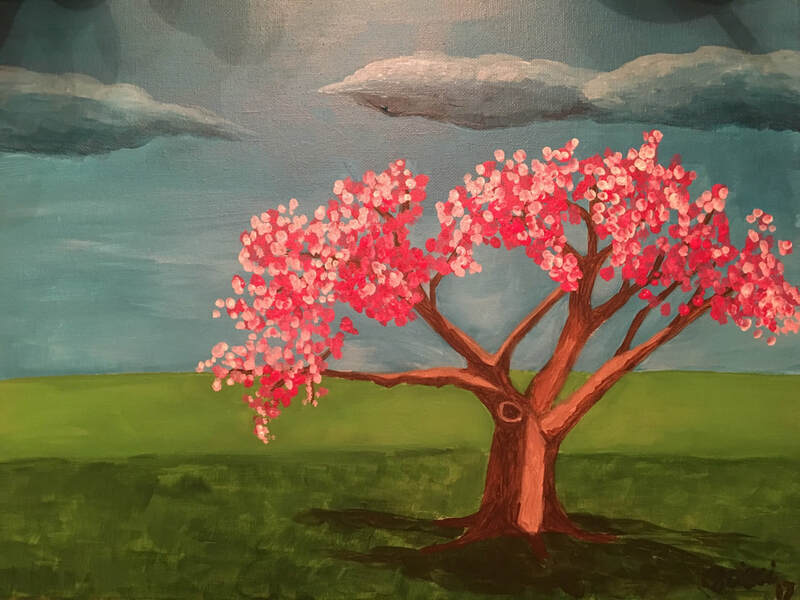 Art instructor, Jessica Scisci Luberda, will lead you step by step through a spring cherry blossom tree painting like the one seen here. Create your own unique painting while enjoying light refreshments, including wine. Cost is $30 per person. Please register here. Hurry...space is limited! 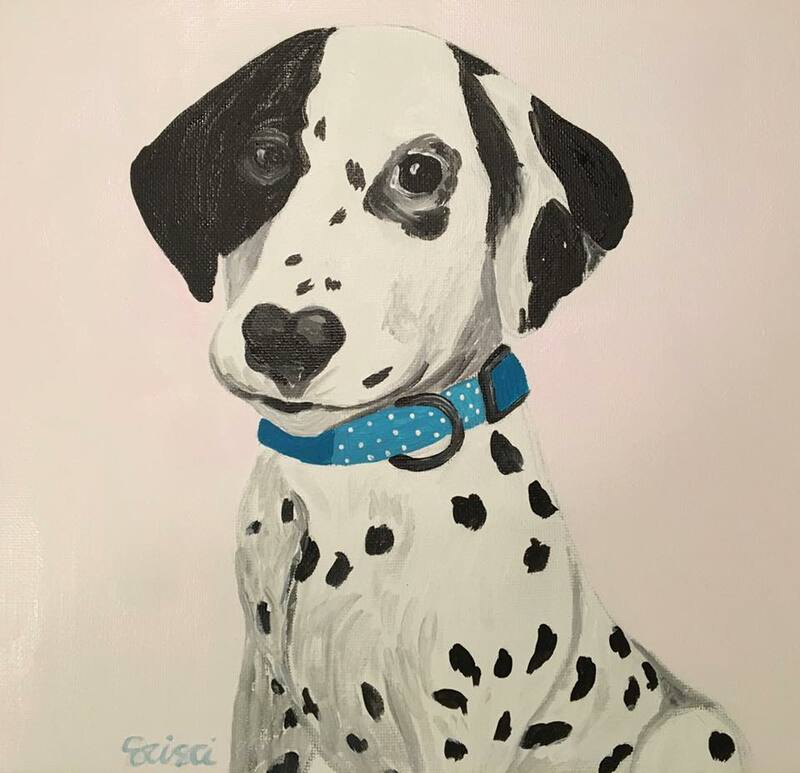 Come and paint puppies with us! Pick a puppy image and we will lead you thru painting it step by step! Bring a friend and enjoy fun snacks and non-alcoholic drinks. Date TBA soon!